Personal Protective Equipment Training - This 2-hour program applies to employers whose jobs require that they wear protective equipment to protect them against hazards of processes, environment, chemical hazards, radiological hazards, or mechanical irritants. Meets the requirements of 29 CFR 1910.132. Determine when personal protective equipment is necessary. 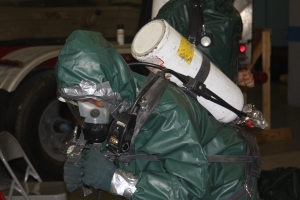 Determine what personal protective equipment is necessary. Know how to properly don, doff, adjust, and wear personal protective equipment. Know the limitations of personal protective equipment. Know the proper care, maintenance, useful life and disposal of the personal protective equipment.